The first time I traveled to Belgium was in 2002. 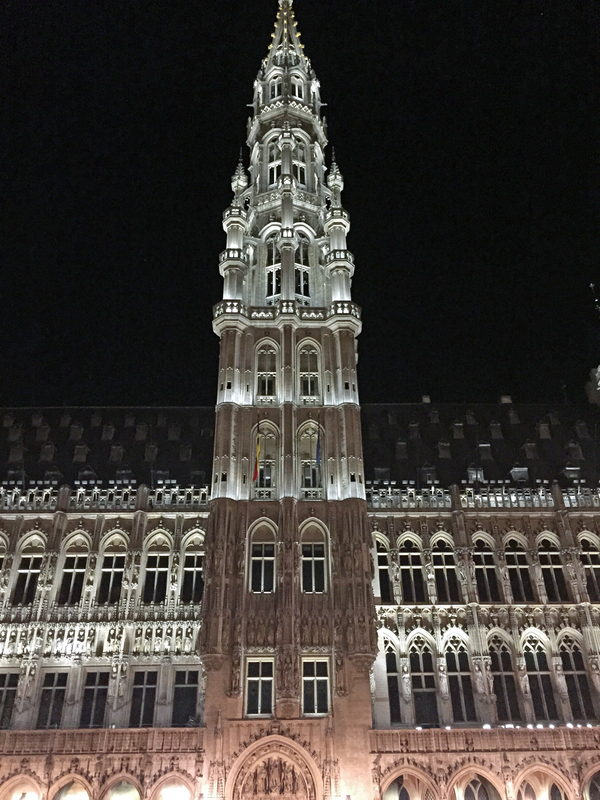 I was working in London and took a weekend trip to Brussels and Antwerp. In the 48 hours I spent exploring, I fell in love with Belgium’s charm. So enchanted, I journeyed back to Belgium a few weeks later to explore Brugge. I have wanted to take a trip with Charlie to Belgium for the past few years but the timing never worked out. This year, however, the stars aligned. Charlie was planning on attending Zwanze Day so I crashed his party, extended his trip and planned a weeklong vacation. We decided on a road trip so we could visit a few off the beaten path places. 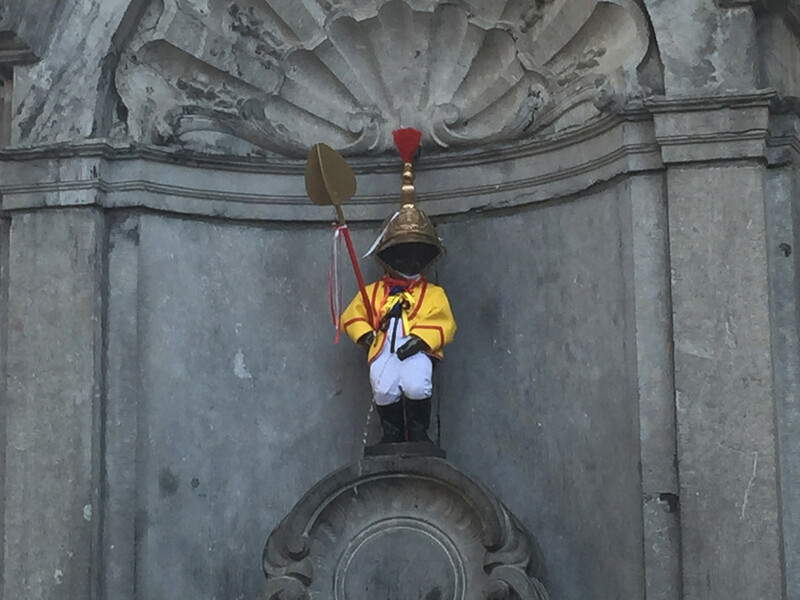 Since I have traveled to Brussels before, I wasn’t in a rush to visit every landmark or see every statue of some child urinating (though it’s hard not to stumble on Manneken Pis). Without a set sightseeing schedule I was able to concentrate on what really matters; eating and drinking (And hey, nothing rids jet lag like a good buzz and good nights sleep) with a focus on beer, chocolate and cheese (For those wanting an in-depth tour of my eating and drinking adventures check back next week Tuesday). 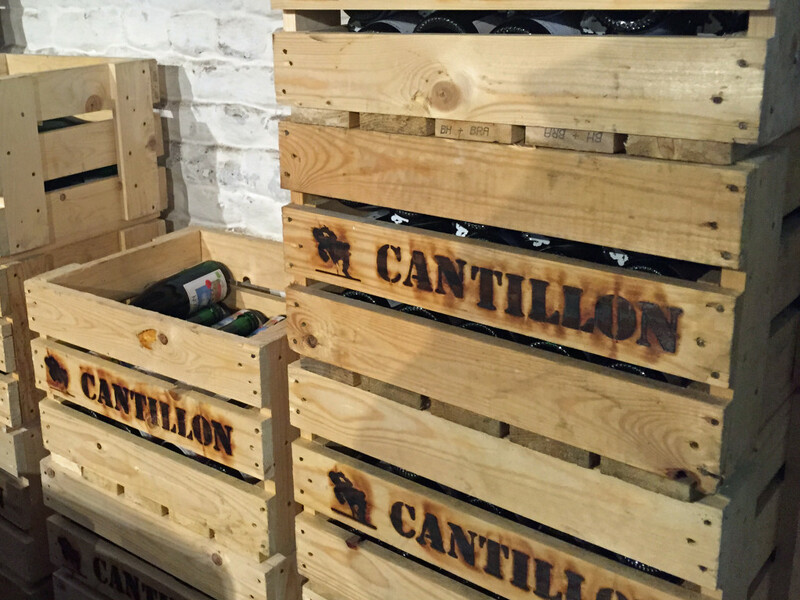 Needless to say we wasted no time and headed to Cantillon Brewery for a tour and tasting. This brewery is a time capsule; nothing has changed since 1900 when it was founded, NOTHING. It’s small and dusty and is the finest example of “don’t fix it if it’s not broken” I have ever seen. The brewery uses original equipment and a spontaneous fermentation process. 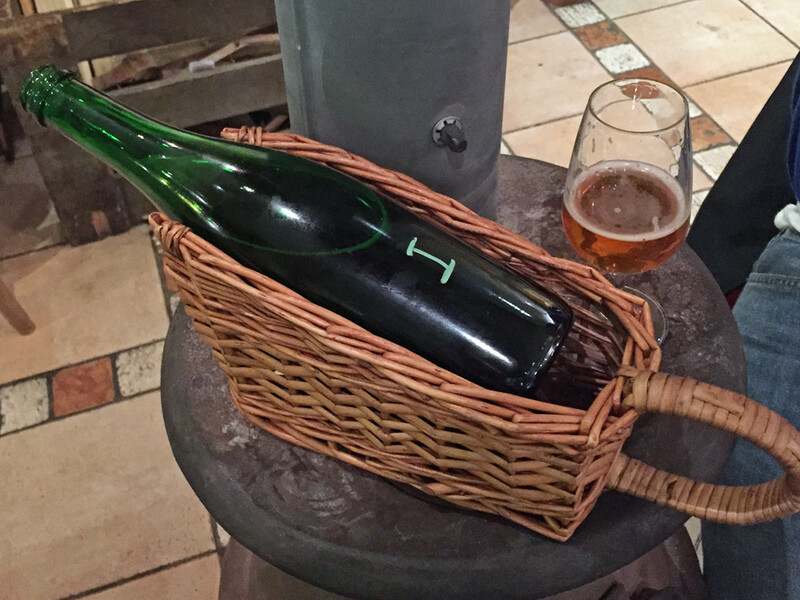 They produce internationally known and sought after Gueuze-Lambic, Kriek and Framboise. Sours beers are not my thing, but I did my best to imbibe. After a bit of waking around, shopping for my favorite chocolates and taking a nap we headed out for the tapping of Zwanze 2015. 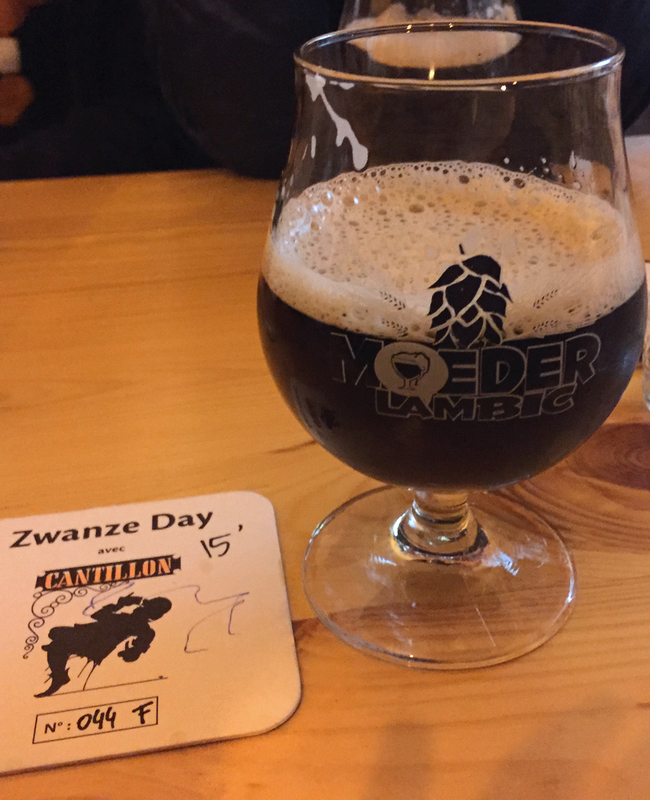 What is Zwanze Day? In laymen terms, it’s a communal gathering of beer nerds from around the world drinking a special beer. For beer nerds, it’s a very special day in which Brasserie Cantillon releases a rare specially made beer at only fifty-six locations around the world simultaneously, with the mother keg tapped in Brussels. The 2015 version of Zwanze was a sour stout. I tried it as well as several variants as the brewer Jean Van Roy was walking around sharing some of his special Zwanze. While all different, they still all tasted like a sour stout which, again, not my thing. While Zwanze was not my favorite (sorry beer nerds..it’s the sour thing, I don’t like sour patch kids either) I was able to enjoy several other more bitter beers at the party. Refreshed after a good nights sleep (I’m telling you a buzz and 8 hours of sleep rids jet lag every time) I was ready for Day 2 in Brussels. With nothing planned, it was quite the relaxing day. We ate a leisurely lunch and walked the streets of Brussels. 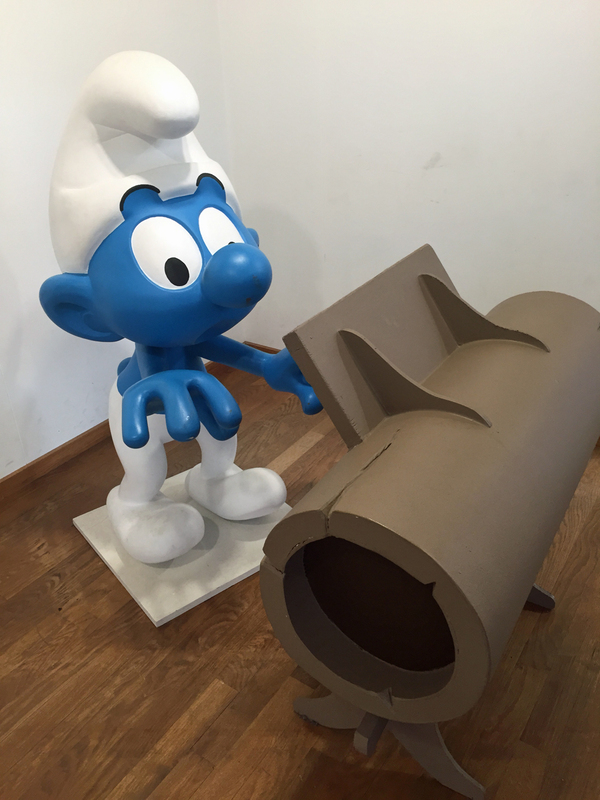 We toured the Cartoon Museum where I got to learn all about the Smurfs, which was my favorite cartoon growing up. We finished our time in Brussels with a grand dinner, a night cap and stroll though the Grote Markt. It’s a beautiful square and the buildings are extraordinary at night. 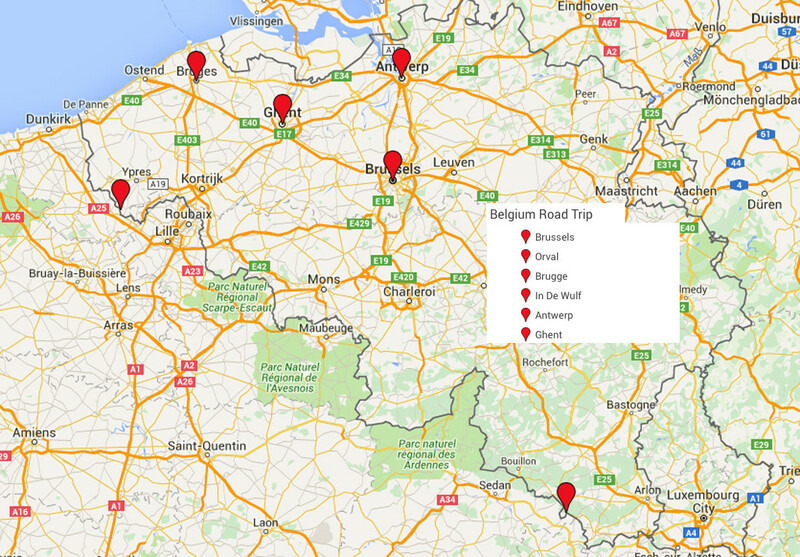 The next leg of our trip we learned A LOT about Belgium(the good, the bad and the closed). We toured several medieval cities, visited abbeys where the monks brew (or use to brew) beer. 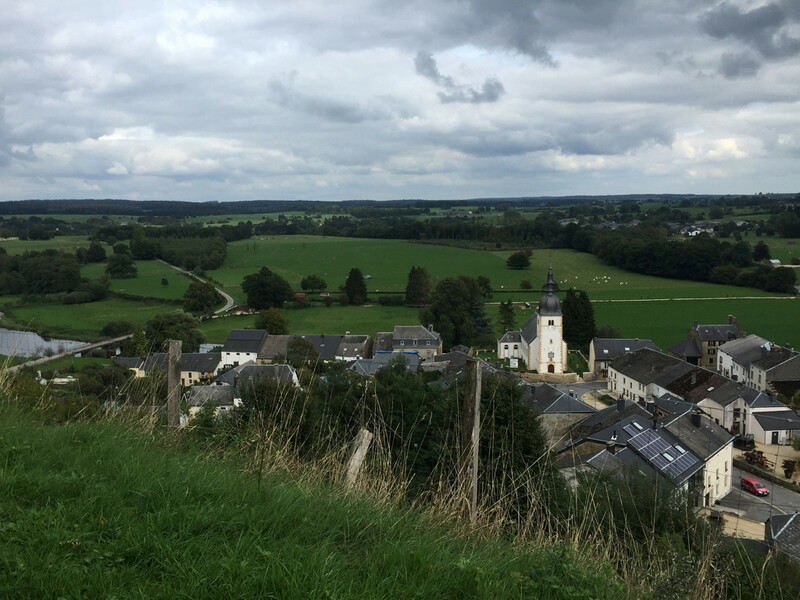 We stumbled upon famous World War I and II battlegrounds and only got lost a few times. Come back tomorrow to read more about the next chapter of my Belgium road trip, the our exploration of Orval Abbey. I will also be posting about my time in Brugge, Antwerp and Ghent the rest of this week. On Thursday, I’ll share my experience taste testing the best beer in the world, Westvleteren 12 and divulging how it compares to St. Bernardus. And it’s ok that you don’t like sours. Before I knew about them, I thought I hated all Belgium Beers. Yeah, I have come to grips with it. I do try them, they say your tastes buds change every 8 years…so maybe sometime in the future I will like them.